[Unknown author(s)]: Om Flyvning og Luftsejlads - Illustreret Familie-Journals 46. Haandbog (1928), 47 pages. A BOOKLET WHICH CAME WITH MAGAZINE ILLUSTRERET FAMILIE-JOURNAL, NO. 37, AND WHICH YOU HAD TO TEAR OUT AND FOLD INTO A BOOK. CONTAINS MATERIAL ABOUT DANISH AVIATION HISTORY. Michael Hansen: 43,000 km Gennem Luften (1935), 160 pages. Aage Hermann og Evald Andersen (editors): Den Danske Idræts Bog, vol. 1 og 2 (1935), 631 and 597 pages. respectively. VOL. 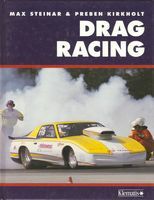 1 HAS A CHAPTER ABOUT DANISH MOTORSPORT, WRITTEN BY OLAF PESCHARDT, AND VOL. 2 HAS A CHAPTER ABOUT DANISH AVIATION, WRITTEN BY JOHN FOLTMANN. COVERS ARE IDENTICAL. NO DUST-JACKET. [various authors]: Danmark I Fest Og Glæde, Bind VI: Tiden Fra 1914 (1936), 483 pages. CONTAINS A CHAPTER ON SPORT, INCLUDING MOTORSPORT IN DENMARK, WRITTEN BY RALF BUCH..
Bendt Rom: Eventyret om Flyvemaskinen (1936), 160 pages. ABOUT THE HISTORY OF (DANISH) AVIATION. MY VERSION IS THE "3rd REVISED EDITION", SO 2 PREVIOUS DIFFERENT ONES EXIST. IT IS IN THE SAME SERIES AS THE BELOW ONE ABOUT FORD. Malcolm Campbell: Med Campbell Ved Rattet (1937), 190 pages. TRANSLATION FROM THE ENGLISH, ORIGINAL TITLE UNKNOWN. ABOUT THE HISTORY OF MOTORSPORT. NO DUST-JACKET. William A. Simonds: Eventyret om Ford (1937), 176 pages. TRANSLATION FROM THE ENGLISH, ORIGINAL TITLE UNKNOWN. ABOUT THE HISTORY OF FORD. CONTAINS CHAPTERS ABOUT MOTORSPORT. [Various editors]: Automobilets Historie Og Dets Mænd, vol. 1 (1938), 610 pages. HAS A CHAPTER ABOUT THE HISTORY OF MOTORSPORT. NO DUST-JACKET. Knud Clauson Kaas: Danske Flyvere paa Vingerne (1943), 175 pages. THIS THIRD BOOK BY SAME AUTHOR HAS A CHAPTER ABOUT EARLY DANISH AVIATION HISTORY AND ONE ABOUT SPORTS FLYING. [Various authors]: Idræt - Vor Tids store Folkeopdrager, vol. 1 & 2 (1943), 297 and 390 pages, respectively. ABOUT THE HISTORY OF SPORT IN DENMARK, INCLUDING ONE CHAPTER ON AVIATION IN VOL. 1 AND ONE ON MOTORSPORT IN VOL. 2. THE COVERS FOR THE TWO VOL.S ARE IDENTICAL. John Foltmann: Flyvningens Eventyr (1944), 191 pages. ABOUT THE HISTORY OF AVIATION, INCLUDING DANISH CONTRIBUTIONS. NO DUST-JACKET. A SECOND REVISED EDITION APPEARED IN 1946, 216 PAGES, THAT IS THE RIGHT SCAN, NO DUST-JACKET EITHER. Mogens H. Damkier og Svend Aage Engstrøm: Motorcykler - Maskiner og Sport (1946), 201 pages. FITS SEVERAL CATEGORIES, BUT HAS A SIGNIFICANT CHAPTER ABOUT THE HISTORY OF DANISH MOTORSPORT. E. A. Tryde and Knud Clauson-Kaas: Fra La Mountain Til Lindbergh (1946), 106 pages. ABOUT THE HISTORY OF THE ATLANTIC FLIGHTS, THIS IS THE 1st VOLUME. Johannes Thinesen: Luften erobres I-II (1947), 50 pages. CONTAINS A CHAPTER ABOUT MOTORSPORTS IN THE AIR. E. A. Tryde and Knud Clauson-Kaas: Fra Lindbergh Til Dan Viking (1947), 213 pages. ABOUT THE HISTORY OF THE ATLANTIC FLIGHTS, THIS IS THE 2nd VOLUME. NO DUST-JACKET BUT ONE DOES EXIST. [Various editors]: Sport I Verdensformat, vol. 1 (1947), 245 pages. HAS TWO CHAPTERS ABOUT MOTORSPORT. [Various editors]: Sport I Verdensformat, vol. 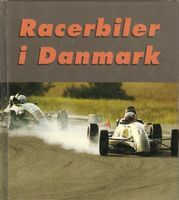 2: Dansk og international Motorsport (1948), 368 pages. WHOLLY DEDICATED TO MOTORSPORT, THIS IS PROBABLY THE MOST IMPORTANT BOOK IN DANISH ABOUT RACING IN THIS COUNTRY. Edgar B. Schieldrop: Teknikkens Vidundere - I Fartens Tidsalder, vol. 1 (1953), 620 pages. TRANSLATED PROBABLY FROM THE ENGLISH, ORIGINAL TITLE UNKNOWN. HAS A CHAPTER ABOUT MOTORSPORT. NO DUST-JACKET. Edgar B. Schieldrop: Teknikkens Vidundere - I Fartens Tidsalder, vol. 2 (1953), 623 pages. TRANSLATED PROBABLY FROM THE ENGLISH, ORIGINAL TITLE UNKNOWN. HAS A CHAPTER ABOUT AVIATION. NO DUST-JACKET. Charles A. Lindbergh: Sejren Over Atlanten (1954), 281 pages. TRANSLATION FROM THE ENGLISH, ORIGINAL TITLE: THE SPIRIT OF SAINT LOUIS. Stirling Moss: Motorsport (1959), 122 pages. TRANSLATION FROM THE ENGLISH, ORIGINAL TITLE: STIRLING MOSS'S BOOK OF MOTORSPORT. ABOUT THE HISTORY OF MOTORSPORT, ETC. NO DUST-JACKET, BUT ONE DOES EXIST. [various editors]: Flyvningens Historie (1963), 427 pages. TRANSLATION FROM THE ENGLISH, ORIGINAL TITLE UNKNOWN. ABOUT THE HISTORY OF AVIATION. INCLUDES A CHAPTER ABOUT DANISH AVIATION HISTORY, WRITTEN BY PER WEISHAUPT. Walter Umminger: Toppræstationer - En Idrættens Kulturhistorie (1963), 316 pages. TRANSLATION FROM THE GERMAN, ORIGINAL TITLE: HELDEN, GÖTTER, ÜBERMENSCHEN. FINAL CHAPTER IS ABOUT THE EARLY HISTORY OF MOTORSPORT. H. Guyford Stever og James I. Haggerty: Flyvemaskinen - fra fantasifoster til supersonisk jetfly (1967), 198 pages. TRANSLATED FROM THE ENGLISH - ORIGINAL TITLE: FLIGHT. ABOUT THE HISTORY OF AVIATION. [Various authors]: Sporten, vol. 1 (1968), 607 pages. CONTAINS THREE CHAPTERS ABOUT MOTORSPORT (BOATS, CARS AND MOTORCYCLES), WRITTEN BY OLE BOTVED, TAGE MIKKELSEN AND H. DAMKJÆR PETERSEN. Ib Eichner-Larsen Og Holger Philipsen: Det lå i luften (1970), 64 pages. ABOUT THE HISTORY OF DANISH AVIATION. Francis Mortarini, Francis Leopold and Wallace K. Waterfall: Sportsvogne - Fakta om teknik, køb og kørsel (1970), 150 pages. TRANSLATED FROM THE ENGLISH - ORIGINAL TITLE: SPORTS CARS. CONTAINS A CHAPTER ABOUT MOTORSPORT. Kurt Møller Madsen: Markedsgøgl og Cirkusløjer (1970), 239 pages. ABOUT THE HISTORY OF CIRCUS LIFE IN DENMARK, INCLUDING A CHAPTER ABOUT "WALL OF DEATH" AMUSEMENT PARK SHOWS. NO DUST-JACKET, BUT ONE DOES EXIST. Monique og Jacques Wolgensinger: De tusind søers rally (1971), unnumbered pages. TRANSLATED FROM THE FRENCH, ORIGINAL TITLE UNKNOWN. Hans Eric Boesgaard: Eventyret om Bilen, vol. 1 (1974), 192 pages. A 2-VOL. HISTORY OF THE AUTOMOBILE. BOTH VOL.s CONTAIN CHAPTERS DEALING WITH MOTORSPORT, I SEEM TO HAVE MISPLACED MY VOL. 2. NO DUST-JACKET, BUT ONE DOES EXIST. [Various authors, among them Jim Clark]: 12 beretninger om biler - Århundredets Skøreste Løb (unknown year, probably 1970s), 173 pages. TRANSLATED FROM THE FRENCH, ORIGINAL TITLE: AVENTURES D'AUTOMOBILES, COMBINING FICTION AND FACT. Mike Bygrave & Jim Dowdall: Motorcykler (1977), 45 pages. TRANSLATED FROM THE ENGLISH - ORIGINAL TITLE: MOTORBIKE. Anders W. Berthelsen: Speedway - For Sjov Eller Forretning (1982), 142 pages. Villy Poulsen: Speedway - Fra Mini Speedway til VM (1983), 60 pages. Jørgen Helme: 75 År Til Lands & I Luften - En dansk virksomheds historie gennem trekvart århundrede 1911-1986 (1986), 196 pages. 75th ANNIVERSARY BOOK ABOUT THE DANISH MOTOR IMPORTING COMPANY FOUNDED BY CHRISTAIN BOHNSTEDT-PETERSEN, INCLUDING CHAPTERS ABOUT MOTORSPORT. N. S. Barrett: Stunt-kørsel (1987), 32 pages. TRANSLATED FROM THE ENGLISH, ORIGINAL TITLE: STUNT RIDING. OBVIOUSLY IN THE SAME FORMAT AS THE LATER BOOK "MOTORCYCLES" BY SAME AUTHOR, THOUGH HIS SURNAME IS SPELLED WITH ONE "T" ON THAT. Mike Key: Truck Racing (1990), 126 pages. TRANSLATED FROM THE ENGLISH, ORIGINAL TITLE: TRUCK RACING. Tony Middlehurst: Bag Om Sporten - Motorløb (1991), 32 pages. TRANSLATED FROM THE ENGLISH, ORIGINAL TITLE: MOTOR RACING. N. S. Barret: Motorcykler (1991), 32 pages. TRANSLATED FROM THE ENGLISH, ORIGINAL TITLE UNKNOWN, PROBABLY: MOTORCYCLES. Kaj Mandel: Dansk motorsport på 4 hjul (1992), 123 pages. Robin Kerrod and Wilfred Hardy: Racerkører (1993), 31 pages. TRANSLATED FROM THE ENGLISH - ORIGINAL TITLE: RACING DRIVER. [Various authors]: Ferrari - Legenden På Landevejen (1993? ), 98 pages. PUBLISHED BY THE MAGAZINE BILMAGASINET. Anders Odsbjerg: Genvej Over Nordpolen (199? ), 238 pages. ABOUT THE HISTORY OF POLAR AVIATION. Erik Mader og Ole Ravn: Da Bilen kom til Danmark (1995), 192 pages. CONTAINS A CHAPTER ABOUT EARLY DANISH MOTORSPORT. Hans Mogensen and Peter Nygaard: Formel 1 - Et Indblik I Motorsportens Verden (1995), 219 pages. Maurice Hamilton and Jon Nicholson: Racing Stewart - The Birth of a Grand Prix Team (1997), 215 pages. INCLUDED HERE BECAUSE IT INVOLVES JAN MAGNUSSEN. 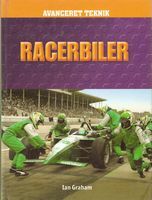 Dieter Betz: Racerbiler I Danmark (2000), 24 pages. Toni Mygdal-Meyer: Da Danskerne Fik Vinger (2002), 325 pages. ABOUT THE HISTORY OF AVIATION IN DENMARK. Ian Graham: Ekstreme Maskiner: Sportsvogne (2003), 32 pages. PART OF A SERIES, TRANSLATED FROM THE ENGLISH. 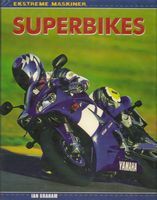 Ian Graham: Ekstreme Maskiner: Superbikes (2003), 32 pages. PART OF A SERIES, TRANSLATED FROM THE ENGLISH. 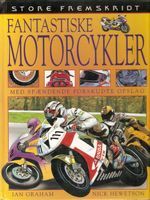 Ian Graham and Nick Hewetson: Store Fremskridt: Fantastiske Motorcykler - Med Spændende Forskudte Opslag (2003), 32 pages. PART OF A SERIES, TRANSLATED FROM THE ENGLISH. 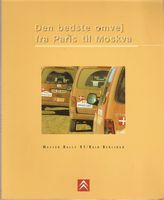 Jens Møller Nicolaisen: KLIP... ... FRA CITROËNS HISTORIE I DANMARK 1919-66 (2003), 42 pages. ABOUT THE HISTORY OF CITROËN IN DENMARK, INCLUDING MOTORSPORT. Stefan Bach: 24 - En Sejr I Le Mans (2004), 150 pages. ABOUT TOM'S 6th WIN AT LE MANS, CONTAINS ONLY B/W BEHIND THE SCENES PHOTOGRAPHS. Nils Finderup: Tom K's Sjette Le Mans-Triumf (2004), unnumbered pages. 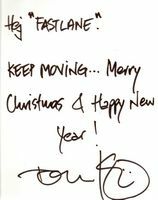 ABOUT TOM'S 6th WIN AT LE MANS. Christian Frost: Legenden Om Porsche (2004), 143 pages. ABOUT THE HISTORY OF PORSCHE, INCLUDING MOTORSPORT. 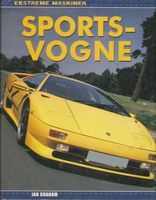 ONE OF TEN BOOKS IN A SERIES, INCLUDING AUDI, CITROËN (2005, 143 pages), FERRARI, FORD, JAGUAR, LAMBORGHINI (200?, 143 pages), MERCEDES-BENZ, RENAULT (2006, 143 pages) AND TOYOTA. [Various Authors]: Det Store Sportsleksikon - Komplet Illustreret Guide (2004), 372 pages. CONTAINS A CHAPTER ABOUT THE VARIOUS TYPES OF MOTORSPORT. Nils Finderup: We are the champions (2005), unnumbered pages. ABOUT THE RECORD-BREAKING 2005 LE MANS. THIS BOOK IS IN BOTH DANISH AND ENGLISH. WITH DEDICATION. Mark Morris: Barske Maskiner: Motorcykler (2005), 64 pages. PART OF A SERIES, TRANSLATED FROM THE ENGLISH. Mark Morris: Barske Maskiner: Racerbiler (2005), 64 pages. PART OF A SERIES, TRANSLATED FROM THE ENGLISH. Chris Oxlade: Barske Maskiner: Sportsvogne (2005), 64 pages. PART OF A SERIES, TRANSLATED FROM THE ENGLISH. Ian Graham: Avanceret Teknik: Racerbiler (2006), 32 pages. PART OF A SERIES, TRANSLATED FROM THE ENGLISH. Ole Steen Hansen: Tilbageblik - Dansk Flyvning (2006), 48 pages. Andrew Montgomery: Legendariske Biler (2006), 255 pages. TRANSLATED FROM THE ENGLISH, ORIGINAL TITLE UNKNOWN. ABOUT FAMOUS CARS AND THEIR RELATION TO MOTORSPORT. Series of three books, missing one about Mercedes. Andrew Noakes: Historien om BMW (2006), 192 pages. TRANSLATED FROM THE ENGLISH, ORIGINAL TITLE UNKNOWN. ABOUT THE HISTORY OF THE MARQUE, INCLUDING MOTORSPORT. Stuart Gallagher and Helen Smith: Historien om Porsche (2006), 192 pages. TRANSLATED FROM THE ENGLISH, ORIGINAL TITLE UNKNOWN. ABOUT THE HISTORY OF THE MARQUE, INCLUDING MOTORSPORT. Peter Nygaard: Le Mans - De Danske Triumfer (2006), 222 pages. ABOUT THE DANISH WINS AT LE MANS. [Various authors]: Racing Cars - The Art Dimension (2006), 146 pages. BOOK PUBLISHED FOR THE RACECAR ART GALLERY EXHIBITION SAME YEAR IN AARHUS, DENMARK. HAS ALSO BEEN TRANSLATED INTO ENGLISH. Johan Bender: Hurra For Århus - Landsudstillingen 1909 - Vejene Til Og Sporene Fra - 150 Års Århushistorie - Aldrig Før Fortalt (2008), 336 pages. ABOUT THE NATIONAL EXHIBITION IN AARHUS, DENMARK, IN 1909 DURING WHICH AN AIRSHOW TOOK PLACE. Peter Nygaard: Ferrari (2008), 286 pages. ABOUT FERRARI IN FORMULA ONE. ANOTHER VERSION WITH DIFFERENT COLOUR COVER EXISTS. Ib Søby: Speedwayliv (2008), 280 pages. Ove Hermansen: Da Hansen fløj til Melbourne i '34 (2009), 268 pages. [var. authors]: Mit Skatkammer 8: Store Bedrifter (), 159 pages. CHILDREN'S BOOK, CONTAINS VARIOUS CHAPTERS ABOUT THE HISTORY OF AVIATION AND THE EARLY PIONEERS.